Part of the image of God in us is the capacity to create. But “seeing through a glass darkly” seems to be a universal description of all human quests towards reality, beauty, and spiritual truth. Our limited vision creates in these quests not only the drive and imagination to “see better,” but also the mechanisms to safeguard their authenticity and enhance their reach: a fundamental humility, intellectual respect for existing norms, and submission to peer feedback. The process is not easy – it takes the best out of us and challenges us to our limits – yet the struggle seems ordained by a God who sets it before us as a path towards a higher road, or a deeper place, where we can be more rooted in our true identity and our place in the cosmic enterprise of His making. At the 2019 faculty retreat we will focus on the centrality and commonalities of human quests. Cutting across academic, artistic, and spiritual pursuits, we hope to become more authentically centered in what we do as believers called to His purposes in the world. 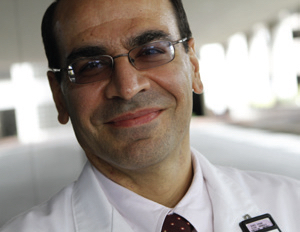 The 2019 conference Guest Speaker will be Dr. Ehsan Samei is a Persian-American medical physicist and a tenured Professor of Radiology, Medical Physics, Biomedical Engineering, Physics, and Electrical and Computer Engineering at Duke University. To learn more about Dr. Samei, please visit the Program page. 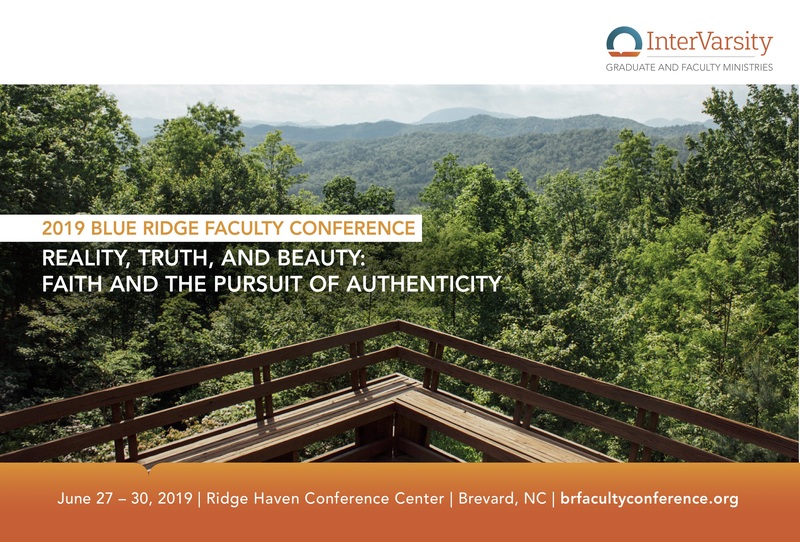 Join us June 27 - 30, 2019, at Ridge Haven Conference and Retreat Center located outside of Asheville, North Carolina, in the beautiful Blue Ridge Mountains. We’ll again offer a day-ahead option on June 26, where you can come early and enjoy unstructured time before the conference officially begins. Please mark your calendars—we look forward to seeing you there! All university faculty are welcome at the conference. Whether you’re single, married, and/or have kids, the conference will have something for you! Spouses are invited to attend and the gathering will be family-friendly. The conference takes place in the Blue Ridge Mountains, providing an opportunity to experience God’s creation while getting away from the daily stresses of life. Please share about the conference with your colleagues who may be interested in attending in the future. Your personal invitation is one of the most effective ways to grow the network of faculty who hear and attend. Click here for a printable postcard to share on social media, via email, or by posting in your office or faculty lounge. Thanks for helping us get the word out! The Blue Ridge Faculty Conference is hosted by InterVarsity’s Graduate and Faculty Ministries (GFM).